Modern Beauty Girl: Winter Hair Inspiration! So it's now February! How crazy is that? It seems like this year is just flying by already! I know that there's only one more month left in "winter", but I thought that I'd share some winter hair inspiration with you guys incase your top knots and braids were getting a bit boring! As usual, these are all from pinterest (you can follow me by clicking here)! 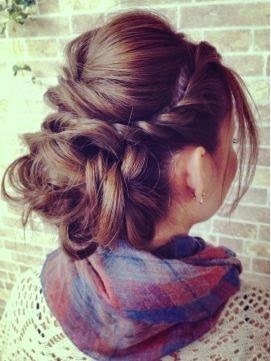 I'm super into updos for the winter, as you've probably seen on my UpDo board! This one is special because of the volume in the front portion of the bun, and it makes the typical top knot a bit dressier and fancier! 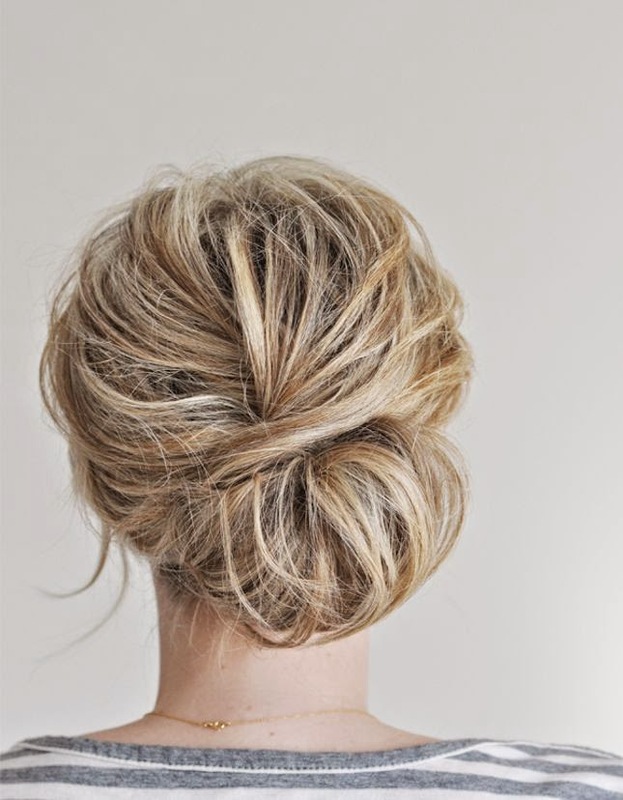 This one is a more neutral and natural looking updo! I love how it's low and has some texture and volume to it! This is perfect for second or third (or fourth) day hair, and the messier the hair is, the better it looks! This is my new favorite cut! It's a long bob, and it's perfect for everyone! 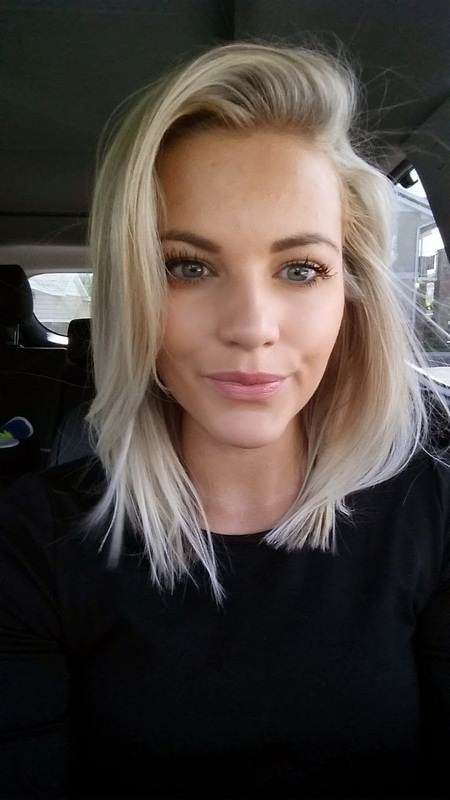 It looks great straight, curled, or wavy, and I'm definitely thinking of cutting my hair like this! I also love the platinum blonde with the darker roots! Lastly, another top knot! I love the messiness of this one (kind of like the second one), and it's really awesome because of the braid! I love how this could make the hair semi-dressy as opposed to the first one, which is more formal, and the second one, which is super casual! So, don't forget to follow me on pinterest to see some of my favorite things! Also, leave your pinterest usernames in the comments so I can check out your boards as well! Let me know what your favorite hairstyle is in the comments too! Mines is either two or four!